Made it into work today, no thanks to the weather conditions! 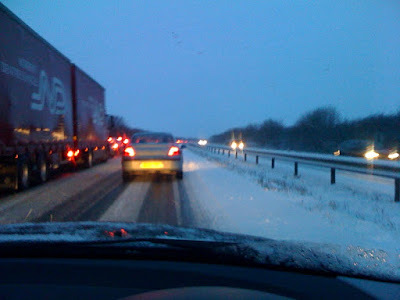 A27 was solid ice between Chichester and Emsworth. Really tested my ice driving skills and many were less fortunate than myself. In school now getting Year 8 to investigate ‘Why on earth has a tiny bit of snow ground the South to a halt?’. Lots of great comments especially thanks to the Sun, Portsmouth News. 2/5ths of the school are not in today, so tempers are running high. 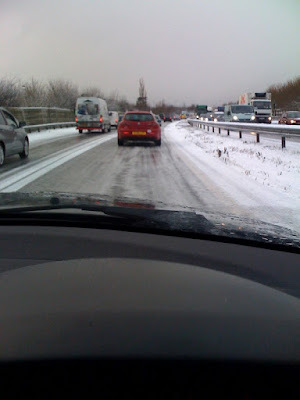 Should have stayed at home as I;m not sure whether I’ll get home!